You must be 18 years or older or have your parent or guardian's consent to use this Site and any related services. If you register with us using a password(s), you are responsible for keeping your password(s) secure and you are fully responsible for all activities that occur under your password(s). TMM shall not be liable for any loss that you incur as a result of someone else using your password, either with or without your knowledge. You may be held liable for any losses incurred by TMM, its affiliates, officers, directors, employees, consultants, agents, and representatives due to someone else’s use of your account or password. You agree to notify us immediately of any unauthorized use of your password(s). We reserve the absolute right not to issue a password to any person or entity. You agree not to alter or modify any part of the Services or any of its related technologies. Content on the Services is provided to you for your information and personal use only and may not be copied, reproduced, distributed, transmitted, broadcast, displayed, sold, licensed, or otherwise exploited for any other purpose. We reserve all rights not expressly granted in and to the Services and any and all content, information, materials, computer code, and software (collectively, the “Content”). You agree not to distribute any part of the Services in any medium without our prior written authorization. You further agree not to engage in the use, copying, or distribution of any of the Content other than expressly permitted herein, including any use, copying, or distribution of Content of third parties obtained through the Services for any commercial purposes. You agree not to access Content produced by us or any third party through any technology or means other than the playback pages of the websites or client applications, or other explicitly authorized means we may designate. You further agree not modify another website so as to falsely imply that it is associated with us. You agree not to use the Services for any illegal or unauthorized purpose. International users agree to comply with all local laws regarding online conduct and acceptable content. In the event of the addition of any messaging capabilities you must not create or submit unwanted email to any other registered members or use the Services to send spam. Your use of the Services must not violate any laws in your jurisdiction (including but not limited to copyright laws). You must not impersonate any person or falsely state or otherwise misrepresent your credentials, affiliation with any person, or the origin of any information you provide. You must not engage in unauthorized spidering, scraping, or harvesting of content or information, or use any other unauthorized automated means to compile information. You must not obtain or attempt to gain unauthorized access to other computer systems, materials, information or any services available on or through the Services. You must not use any device, software, or routine to interfere or attempt to interfere with the proper working of the Services or any activity conducted on the Services or attempt to probe, scan, test the vulnerability of, or breach the security of any system, device or network. You agree not to circumvent, reverse engineer, decipher, decompile, disassemble, decrypt, or otherwise alter or interfere with (or attempt, encourage, or support anyone else’s attempt to engage in such activities) any of the software comprising or in any way making up a part of the Services. The use or distribution of tools designed for compromising security (e.g., password guessing programs, cracking tools or network probing tools) is strictly prohibited. You must not take any action that imposes an unreasonable or disproportionately large load on our network or infrastructure. You must not upload or otherwise transmit any communication, software, or material that contains a virus or is otherwise harmful to our or our users’ computers, devices or systems. You shall not engage in any other conduct that restricts or inhibits any person from using or enjoying the Services, or that, in our sole judgment, exposes us or any of our affiliates, users or any other third party to any liability, damages, or detriment of any type. Violation of any of these terms may result in the termination of your account. While we prohibit such conduct and content on our Services, you understand and agree that we cannot be responsible for content posted, submitted, or otherwise made available on our Services or the conduct of other users. You further agree that nonetheless you may be exposed to such materials and that you use the Services at your own risk. You may notify our designated copyright agent either by mail to Copyright Agent via email to info@themadmamluks.com. You acknowledge that if you fail to comply with the requirements of this section, your DMCA notice may not be valid. YOUR USE OF THE SERVICES IS AT YOUR OWN RISK. WE MAKE NO REPRESENTATIONS OR WARRANTIES ABOUT THE SERVICES, INCLUDING WITHOUT LIMITATION THE OPERATION OF THE SERVICES OR THE INFORMATION, MATERIALS, GOODS, OR SERVICES APPEARING OR OFFERED ON THE SERVICES OR WITH RESPECT TO ANY WEBSITES OR SERVICES LINKED FROM THE SERVICES. THE SERVICES ARE PROVIDED "AS IS", “WITH ALL FAULTS,” AND “AS AVAILABLE.” WITHOUT LIMITING THE GENERALITY OF THE FOREGOING, WE DISCLAIM ALL WARRANTIES, EXPRESS, STATUTORY OR IMPLIED, INCLUDING BUT NOT LIMITED TO (I) THE WARRANTIES OF MERCHANTABILITY, FITNESS FOR A PARTICULAR PURPOSE, WORKMANLIKE EFFORT, TITLE, QUIET ENJOYMENT, NO LIENS AND NO ENCUMBRANCES; (II) THE WARRANTIES AGAINST INFRINGEMENT, MISAPPROPRIATION OR VIOLATION OF ANY INTELLECTUAL PROPERTY OR PROPRIETARY RIGHTS OF ANY PERSON; (III) WARRANTIES ARISING THROUGH COURSE OF DEALING OR USAGE IN TRADE; AND (IV) THE WARRANTIES RELATING TO THE ACCURACY, RELIABILITY, CORRECTNESS, OR COMPLETENESS OF DATA OR CONTENT MADE AVAILABLE ON THE SERVICES OR OTHERWISE BY US. FURTHER, THERE IS NO WARRANTY THAT THE SERVICES WILL MEET YOUR NEEDS OR REQUIREMENTS OR THE NEEDS OR REQUIREMENTS OF ANY OTHER PERSON OR THE NEEDS OR REQUIREMENTS SET FORTH IN ANY DOCUMENTATION. WE MAKE NO WARRANTIES, EXPRESS, STATUTORY OR IMPLIED, THAT THE SERVICES, INCLUDING WITHOUT LIMITATION THE CONTENT, FUNCTIONS OR MATERIALS CONTAINED THEREIN, WILL BE TIMELY, SECURE, ACCURATE, ERROR-FREE, COMPLETE, UP-TO-DATE, FREE OF VIRUSES, OR UNINTERRUPTED. WE DO NOT NECESSARILY ENDORSE, SUPPORT, SANCTION, ENCOURAGE OR AGREE WITH ANY CONTENT AND WE EXPRESSLY DISCLAIM ANY AND ALL REPRESENTATIONS, WARRANTIES AND LIABILITIES IN CONNECTION WITH ANY CONTENT. WE MAKE NO REPRESENTATION THAT THE SERVICES ARE APPROPRIATE OR AVAILABLE FOR USE OUTSIDE OF THE UNITED STATES. NO ORAL OR WRITTEN INFORMATION MADE AVAILABLE BY OR ON BEHALF OF US SHALL CREATE ANY WARRANTY. UNDER NO CIRCUMSTANCES, INCLUDING WITHOUT LIMITATION NEGLIGENCE, WILL WE, OUR AFFILIATES, OR ANY PARTY INVOLVED IN CREATING, PRODUCING, OR DELIVERING THE SERVICES BE LIABLE FOR DAMAGES OR LOSSES INCLUDING WITHOUT LIMITATION DIRECT, INCIDENTAL, CONSEQUENTIAL, INDIRECT, SPECIAL, OR PUNITIVE DAMAGES AND LOST PROFITS ARISING OUT OF THE TERMS OR YOUR ACCESS, USE, MISUSE, OR INABILITY TO USE THE SERVICES, INCLUDING WITHOUT LIMITATION ANY CONTENT, OR ANY WEBSITES OR MOBILE APPLICATIONS LINKED FROM THE SERVICES, HOWEVER CAUSED, WHETHER IN CONTRACT, TORT, NEGLIGENCE, STRICT LIABILITY OR OTHERWISE, EVEN IF WE HAVE BEEN ADVISED OF THE POSSIBILITY OF SUCH DAMAGES, OR IN CONNECTION WITH ANY FAILURE OF PERFORMANCE, ERROR, OMISSION, INTERRUPTION, DEFECT, DELAY IN OPERATION OR TRANSMISSION, COMPUTER VIRUS, OR LINE OR SYSTEM FAILURE. BECAUSE SOME JURISDICTIONS DO NOT ALLOW THE EXCLUSION OR LIMITATION OF INCIDENTAL OR CONSEQUENTIAL DAMAGES, OUR LIABILITY IN SUCH JURISDICTIONS SHALL BE LIMITED TO THE EXTENT PERMITTED BY LAW. ANY CLAIM AGAINST US SHALL BE LIMITED TO THE AMOUNT YOU PAID, IF ANY, FOR USE OF THE SERVICES; OTHERWISE, YOUR REMEDY WITH RESPECT TO ANY DISPUTE WITH US (INCLUDING WITHOUT LIMITATION YOUR USE OF THE SERVICES) IS TO DISCONTINUE YOUR USE OF THE SERVICES. Any proceedings to resolve or litigate any dispute in any forum will be conducted solely on an individual basis. Neither party will seek to have any dispute heard as a class action or in any other proceeding in which either party acts or proposes to act in a representative capacity. No arbitration or proceeding will be combined with another without the prior written consent of all parties to all affected arbitrations or proceedings. 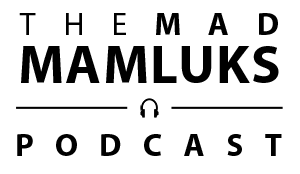 Please direct any questions, complaints or claims related to the Services or your use of the Services, or requests to use our copyrighted work or trade or service mark right to info@themadmamluks.com.